Available in tractor-mounted and skid steer-mounted models, we've got a StumpBuster that will meet your needs. Grind through even the toughest stumps with ease with Shaver's powerful lineup of PTO-powered, tractor-mounted StumpBusters. Shaver offers two tractor powered units: the compact SC-25 with lower tractor horsepower and the powerful, industrial-grade SC-50. You can match your machine to your needs. The SC-50 is built for industrial-strength cutting. 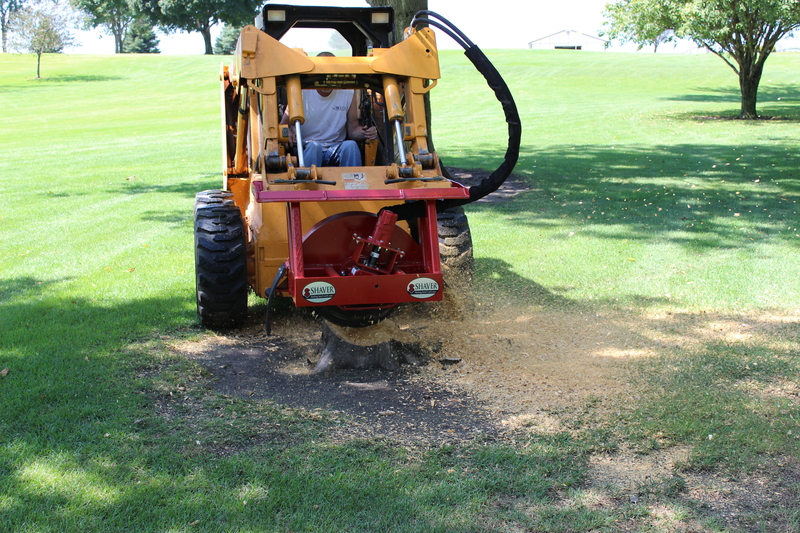 Mount it to the three-point hitch of any 35-100 hp tractor, and the unit's 34-inch-diameter cutting wheel makes quick work of stumps, grinding them down 12 inches below ground. The SC-50 features a single-direction cutting design that reduces wear on bearing and the gearbox, giving you a payback on your investment that will last for years. 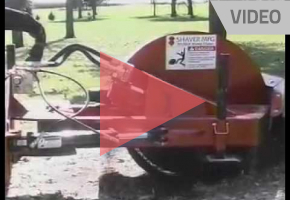 Shaver's hydraulically powered StumpBuster is the choice for large contractors, landscapers and maintenance departments. Mounted on a skid steer loader, these units are easy to maneuver into compact areas that are impossible to reach with other types of machines. They feature the ideal combination of maneuverability, power, durability and simplicity. The SC-25-H's wheel features carbide steel teeth that aggressively grind stumps down to 10 inches below ground. The unit features a 24-inch cutting wheel that rotates at a speed of 980 rpm. The SC-25-H is simply the most compact, powerful and nimble unit on the market. The robust and compact design make it an ideal unit for any job. A 24" cutting wheel that rotates at a speed of 1200 rpm at 25 gpm. [For my] business I bought an SC-50 stump grinder. It does a very good job. I've cut some massive stumps out with it. Check out the media available for StumpBuster up close in the gallery. 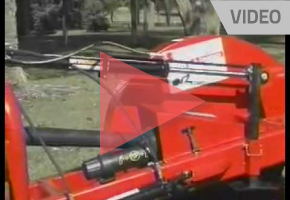 Learn more about the StumpBuster tractor attachment. 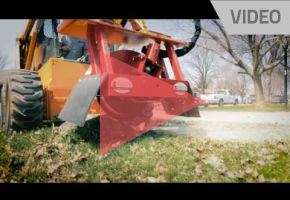 Learn more about the StumpBuster skid steer loader attachment. 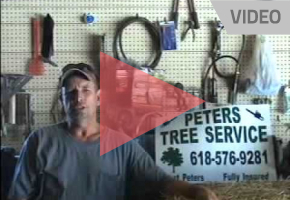 The StumpBuster helps out Curt Peters tremendously with his tree service business. See the StumpBuster up close in the gallery. 45" 45" 24" 45" 45"
832 lbs. 829 lbs. 650 lbs. 1,1181 lbs. 1,238 lbs. The specifications for StumpBuster are subject to change without notice. Want more information on the StumpBuster? Here are some helpful downloads.